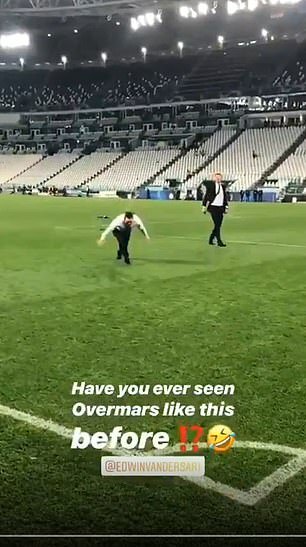 Ajax legend Marc Overmars showed there is no better way to celebrate your club’s first Champions League semi-final appearance for 22 years than by body sliding across the turf – even while wearing a suit. 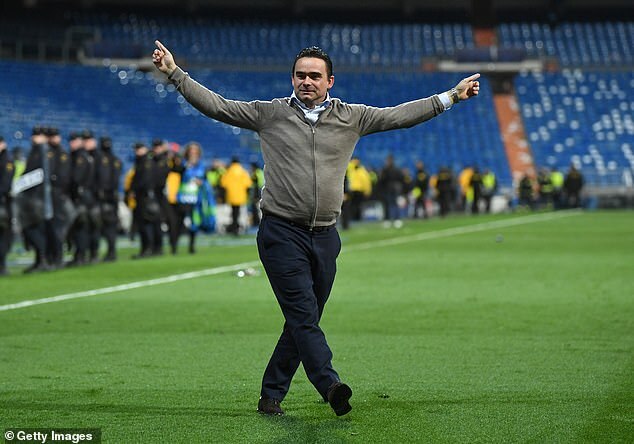 Overmars, 45, is now the club’s director of football and like all those associated with Ajax, he was ecstatic after the Dutch club pulled off another extraordinary upset in the Champions League. 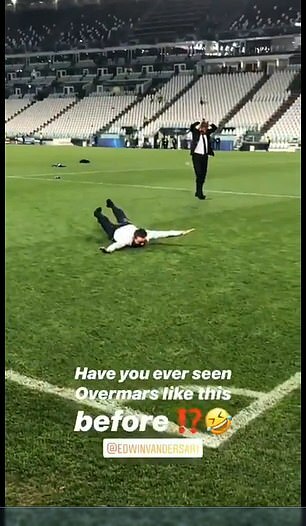 Erik ten Hag’s young trailblazers followed up a remarkable 4-1 win over reigning European champions Real Madrid at the Bernabeu last month with a stunning 2-1 triumph over Italian giants Juventus in Turin. The duo lifted the trophy back in 1995 and both players are now involved behind the scenes at the Amsterdam Arena, with 48-year-old van der Sar now the club’s chief executive. 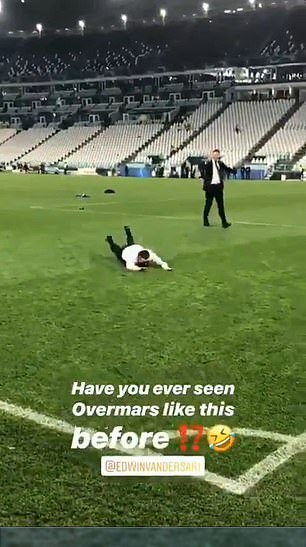 And both went wild at full-time in front of delirious Ajax supporters at the Allianz Stadium, replicating similar celebrations after the club’s victory in Madrid. 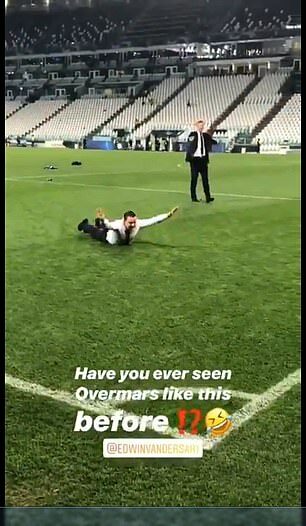 Van der Sar watched on in hysterics as the Ajax fans lapped up their former hero’s celebrations. Louis van Gaal’s Ajax boasted the likes of Clarence Seedorf, Edgar Davids and Danny Blind when they lifted the trophy in 1995 with a 1-0 win over Milan. This year’s contingent will face an English side in their semi-final with Tottenham Hotspur and Manchester City set to go head-to-head tonight at the Etihad.